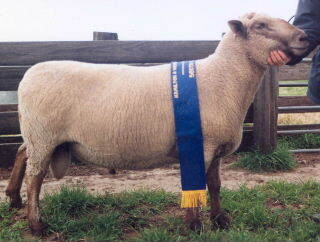 2004 - Photo of Ballarat Butcher, John Harbour with a South Suffolk carcase. 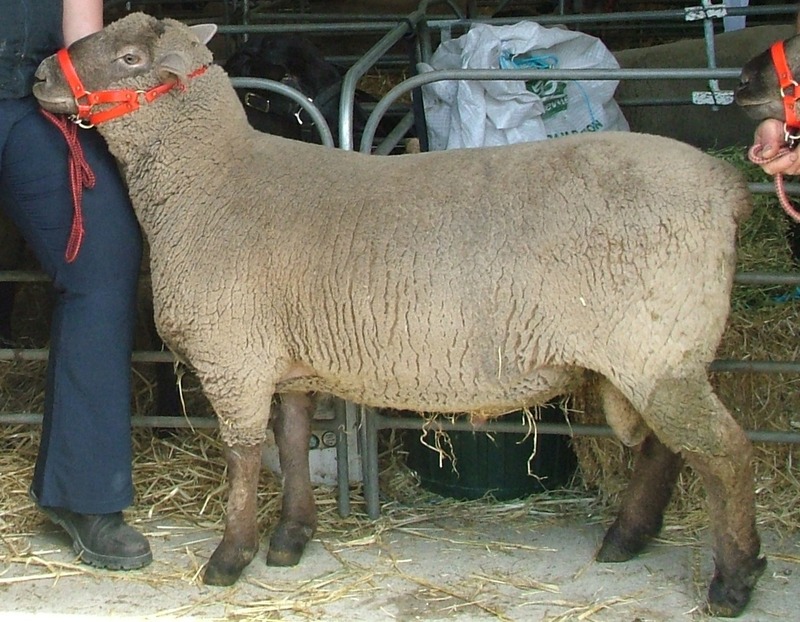 John keenly buys any surplus lambs we have and is very keen on the South Suffolk. John is quoted saying 'it has quality fine textured meat, with a minimum of fat'. 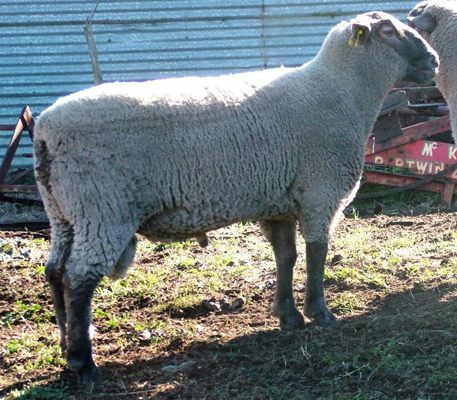 John Harbour is known for his quality meats. 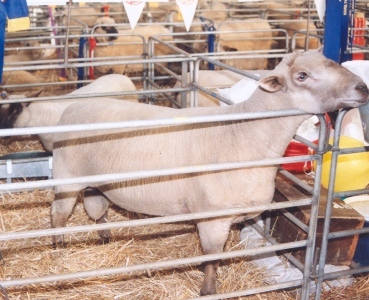 Samson weighed over 140kg at the Melbourne Show in Sept 2003. 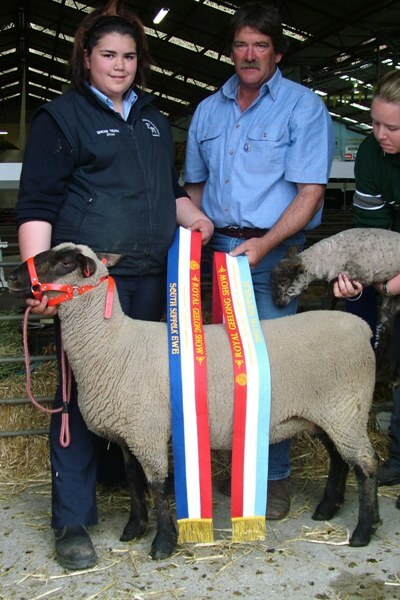 2003 Melbourne Royal - Reserve Champion South Suffolk Ram 1st in his class Ram over 1 1/2 years. 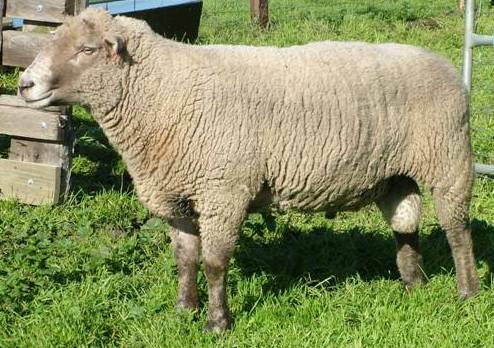 and sired by O.102's son W.D Sinbad (D5823). 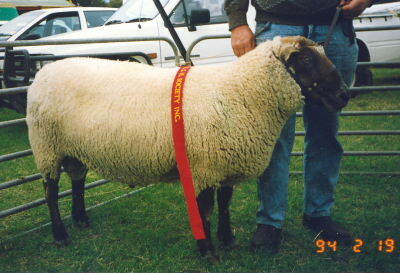 And the Champion South Suffolk Ram WF-26(2011) also at that show. 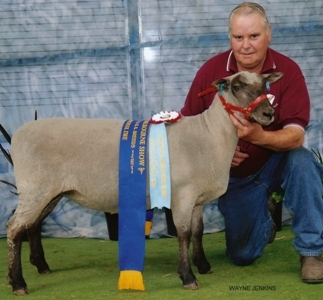 W.D.Guy had limited use in our Stud for one year as a young ram, before his untimely death in 2005.
being a highlight of his career. In 1997 the Stud attended the Portland show. 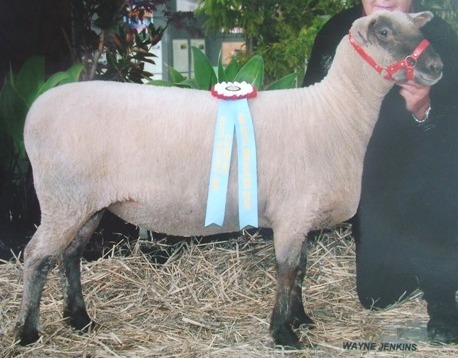 The Group won the Champion INTERBREED Group of the Show. 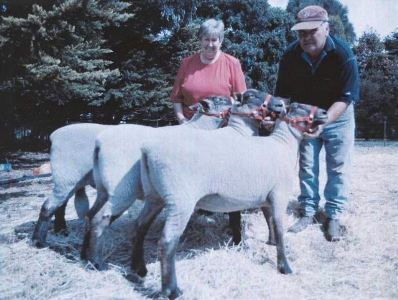 Garry was used over our Ewes, producing some quality offspring. 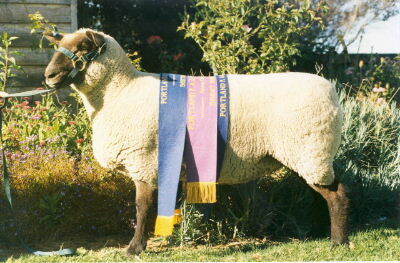 The Stud bought Ralph in October 1995, he was our senior sire until his death in 2002. 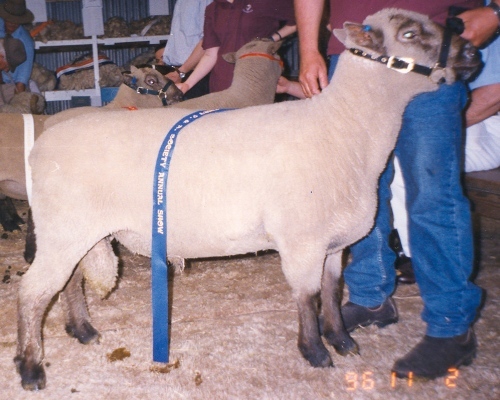 He is pictured above with his Champion Ram ribbon from the 1997 Heytesbury Show. 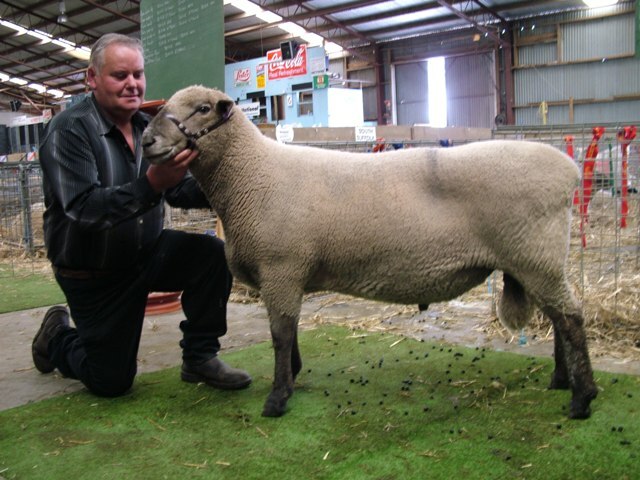 Ralph won the Champion or Reserve Champion Ram at Noorat/ Warrnambool/ Heytesbury/ Portland/ Tyrendarra & Colac Shows, between 1995 -1997. 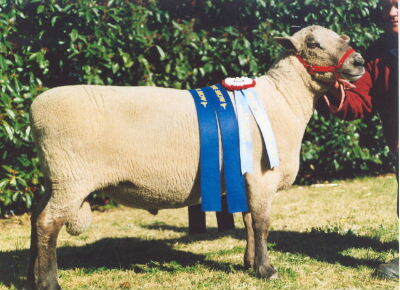 Tragic loss of B102 in 2009 after achieving Multi Champion wins. 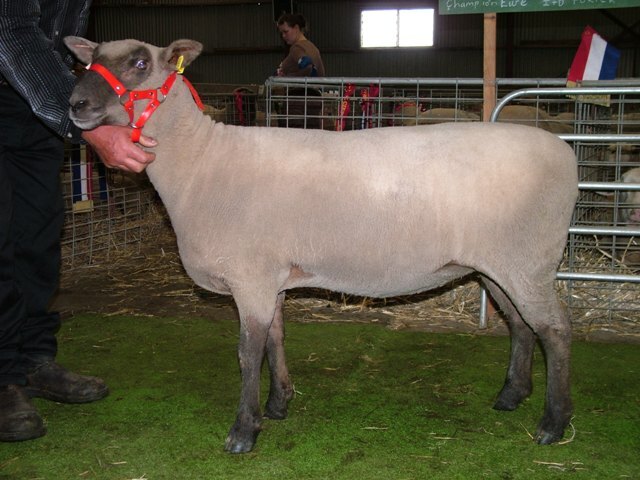 Jemma was a Multi Champion, also Winning the Best Hindquartered Sheep of the Heytesbury Show 3 times.